January 14th tomorrow. One month until Valentine’s Day. Celebrating our hearts. 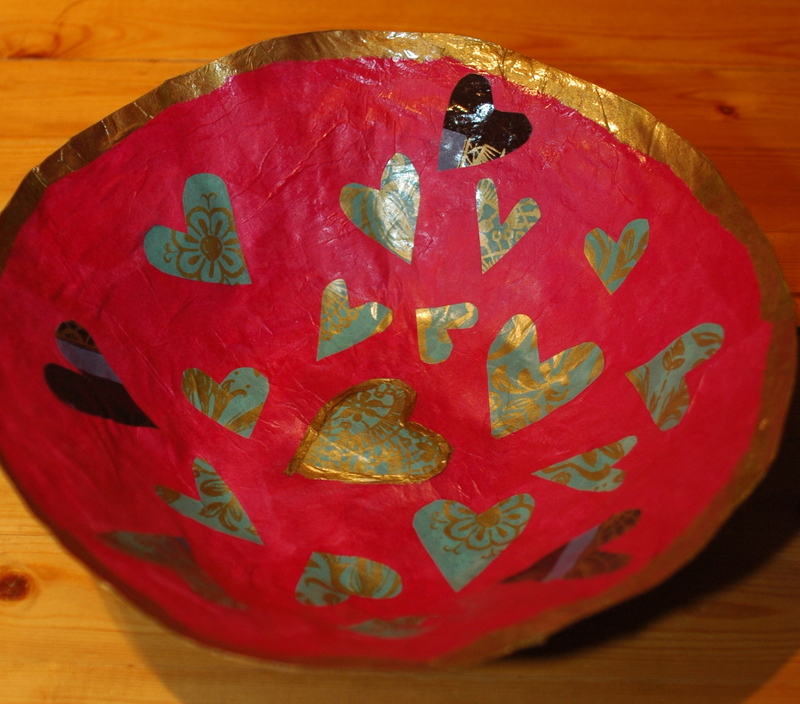 I’m making a heart bowl each day, until then, in honour of our hearts, creative spirits, and authentic expression. I’ve let my heart become deeply gated in steel, bolted shut, and I can’t even find the key. I’m finally listening and the way to its release is to make bowls. Papier mache bowls. Heart bowls, to be specific. Layer upon layer of paper strip dipped in glue to unleash my bonded heart. I’m going to open it this time… really wide. As vulnerable as I can be. Strong and vulnerable. Chest out, shoulders down. I want to leave it that way. I’m tired of the gates. The bolt and the missing key exhaust me. I want to live fully and that has to mean open… And, I want to listen … to my heart. To me.